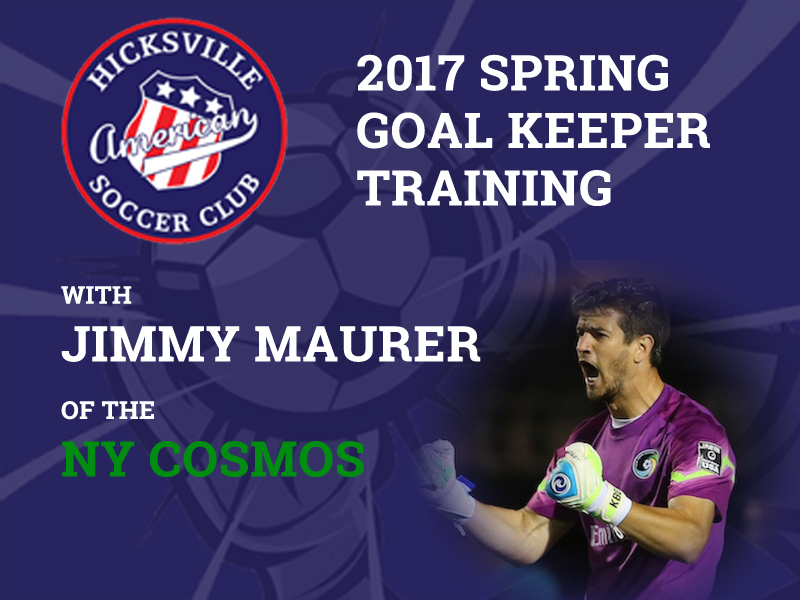 HASC is proud to provide a unique training experience with Jimmy Maurer of the New York Cosmos. Jimmy brings his professional playing experience, his unmatched passion, and his elite youth training experience to HASC on Monday nights for 6 total weeks of goalkeeper training. We are fortunate to have his expertise to share with the HASC membership and hope everyone will take advantage.